When a magazine is working brilliantly and has a unique character and style that resonates with people, why would you ever consider shaking that up, even a little? Why? Well, for your readers of course. 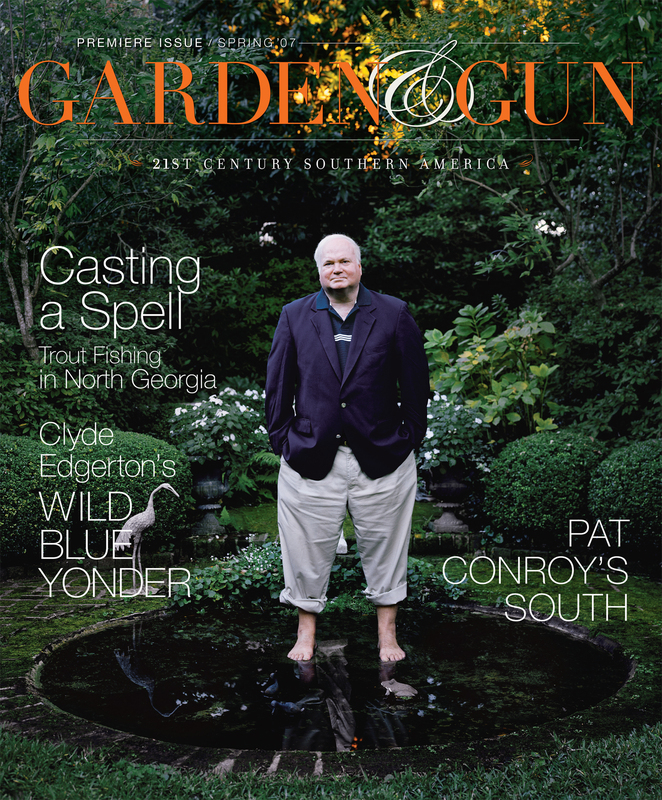 For that indelible right they have to continued growth and evolvement with even one of their very favorite titles: Garden & Gun. Because as Editor in Chief David DiBenedetto said, they don’t sit back and enjoy the success, they keep pressing forward, striving to be even better than they were yesterday, while always keeping an eye on the future. And, as Dave said throughout the interview, always putting the reader first. 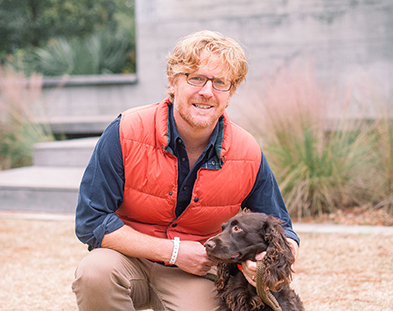 Along with Dave, Marshall McKinney, design director, have both been with the magazine for almost its entire 11 years of existence. G&G is the recipient of their life’s blood and the magazine’s excellence of character and grace reflect that. It’s a magazine that southerners and Yankees alike love and cherish and bring into their homes with no intention of ever letting leave. It’s the pull-up-a-veranda-have-a-refreshing-mint-julep friend that they never show the front door to. But after 10 years at the magazine that is getting ready to increase its rate base to 400,000 as of the Feb./March issue, Dave and Marshall felt that it was time for a change with their beloved magazine, so they set about to refresh and reinvigorate it with a more modern feel while remaining true to its journalistic style and panache that readers have come to love. I spoke with Dave and Marshall recently and we talked about the redesign and all of its many facets, both the good ones and the improvable ones. It was a true Garden & Gun conversation, easy, informative and effortless when it came to the passion and love these two have for the brand. As always, Mr. Magazine™ was enthralled and entertained. I hope you are too. And now the Mr. Magazine™ interview with David DiBenedetto and Marshall McKinney (who I am proud to say, and for truth in reporting mention, that Marshall was a student and a graduate teaching assistant of mine during his graduate studies at the University of Mississippi)… enjoy the interview and pick up a copy of the recent issue of Garden & Gun at a newsstand near you! On where they think the industry is heading in 2018 and beyond (David DiBenedetto): Well, that’s certainly the million dollar question, right? (Laughs) I for one don’t think magazines are going to disappear. I do think some magazines will be weeded out. Obviously, these days you can find a lot of information online; you can find recipes; you can find sickness tips; you can find so much, and I think the magazines that will survive are the ones that are doing real original stuff that can’t necessarily be found through a Google search. 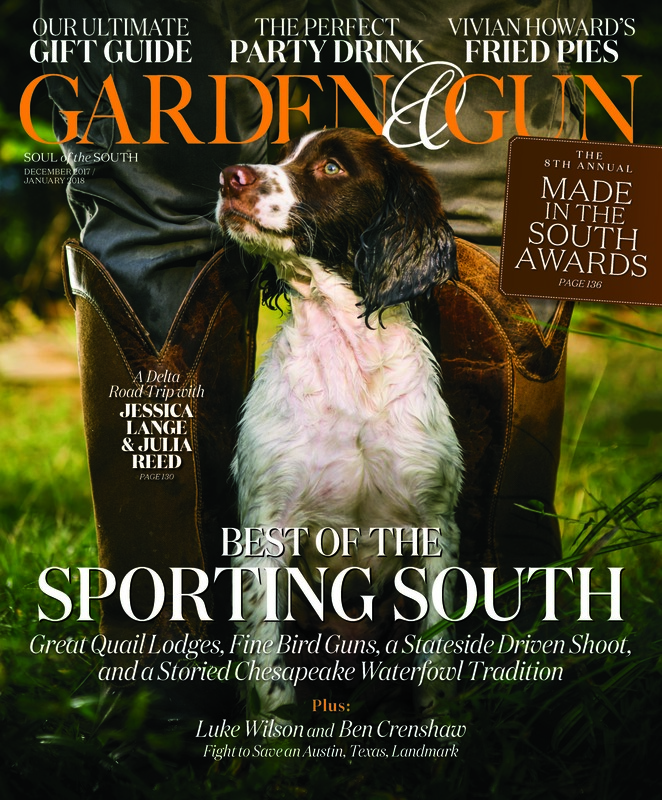 On the secret sauce that allows Garden & Gun to increase its circulation rate base to 400,000 when many other publications are seeing decreases (David DiBenedetto): I think that’s part of it. For one, and it’s been the sort of magical thing about this magazine from the beginning, there’s nothing really like it out there. I always have a hard time finding the direct competitor. We always say they found the white space when they thought about what’s missing from the magazine rack. This was something new; there wasn’t anything there yet. And I think that’s really part of the calculus. On how his role as editor in chief has changed over the last 10 years (David DiBenedetto): How has it changed in the last 10 years? I started as the number two here and even only eight or nine years ago, social media wasn’t something that we thought about every day. Like every editor, your job responsibilities have increased because you have more ways to reach the reader. Now it’s digital, podcasts, Twitter, Instagram, and these are great. These outlets are amazing because we used to only have one way to reach the reader and that was through our pages. And now we have so many ways, so many touchpoints that when you’re doing it right all of these outlets are tremendous for you. On whether he thinks all of these social media outlets can be a double-edged sword when it comes to good content (David DiBenedetto): Right; absolutely. That’s the challenge, fighting through the clutter, so that your work can be seen. That’s the biggest challenge with these social media outlets, but I do think and I do believe that good content rises to the top and will rise to the top even more. I think folks are getting tired of shallow pieces, shallow journalism; lists of funny cat photos. We’re going to reach a point where it tips a little bit back toward appreciating good stories, good storytelling, and good journalism. People appreciate good work. On how he would define content today (David DiBenedetto): It’s everything. Content is anything that we touch. And it can be in a digital form; it can be video or audio; it’s good storytelling; obviously, it’s prose in the magazine. And in my mind too, photography and design and illustration is content and that helps drive the narrative art too. It’s all content Everything that we touch; everything that comes out of the Garden & Gun voice is content. On whether they believe there is some sort of litmus test for readers so they can differentiate between good content and crappy content (David DiBenedetto): I don’t know that there’s an answer to that. Hopefully, it’s pretty transparent real quickly when they look at it. Like I said, it’s about paying attention to that detail that we do in a way that a lot of these other outlets don’t. On whether they believe there is some sort of litmus test for readers so they can differentiate between good content and crappy content (Marshall McKinney): I think there’s a litmus test for what makes the grade as Garden & Gun’s content. There’s a matrix that we run everything through and if it hits a certain standard then we key in on it. Also, like Dave was saying earlier, there’s a lot of crap out there and I think when people read content that rings with truth, that has this sort of voice that rings with truth, they recognize it as something reaching a higher standard. On the process of reenergizing the Garden & Gun design (David DiBenedetto): Marshall and I both have been here almost 10 years now and we’ve lived with the design of Garden & Gun for those 10 years, and it really hasn’t changed much. There wasn’t any reason to change it for the longest time, because it was really successful, people loved it and we enjoyed it, and readers responded to it. But I think Marshall and I both, as we approached this anniversary year, we said it’s time for a refresh. We both felt the magazine needed a little bit more of a modern feel. Nothing was wrong with it, but you just can’t stay that way forever; you have to keep evolving. We think a magazine should evolve, and it shouldn’t just evolve for evolving’s sake, but it should evolve when the time is right. And we felt that hitting that 10th year stride; now was the time to shake it up a bit. On the process of reenergizing the Garden & Gun design (Marshall McKinney): A decade is a long run and we have a lot of paint on the walls after a decade. We’ve introduced a few fonts, so aesthetically it was just nice to kind of strip it down to the studs, and thinking about what came before can be very disciplined, but also the South is professionally reinventing itself. There are new trends and artists, things happening in literature, and things are happening all over the South that are progressive and that are pushing the envelope. On whether having relatively no direct competition makes his job as design director easier or harder (Marshall McKinney): I can’t necessarily speak for the brand when I say this, but I think of my competition as Vanity Fair, New York Magazine, Dwell, GQ; I think of those brands as competition. I want to be taken seriously. I want to be competitive with them, and what I love about those brands and why I have so much respect for them is that they always reach a certain level of originality; they ring with originality and that’s what I want Garden & Gun to do. On whether having relatively no direct competition makes his job as design director easier or harder (David DiBenedetto): It’s true; what Marshall is saying is that we strive to be the best in the business. We don’t think of ourselves as a Southern magazine; we are a national magazine. And while I don’t think we have a direct competitor, in terms of how we view our work, in our own minds we put it up against the best out there and hope that it holds right there with them. On the magazine’s new food section called Jubilee (David DiBenedetto): I will say this, one thing that we do to celebrate Southern food is we’re not trying to write about food that’s necessarily highly nutritious and “good for you,” like healthy food. We’re writing about food that is just tasty, that makes you drool and is steeped in heritage and tradition. And maybe it’s being reinvented and maybe it is more healthful than when your grandmother made it, but we’re just trying to make food that’s super-tasty and that can become new classics in your life. On whether we may be seeing a new bookazine called “Jubilee” with all of the food content in the magazine (David DiBenedetto): Absolutely. I think that anytime you’re creating a magazine and you’re seeing a trend and you’re understanding what your readers are, no pun intended, “salivating” for; if it’s a success then you think about how you can take that farther along. There aren’t memos here about a new food magazine, but it’s certainly been in my head. If “Jubilee” is a raging success, then why not keep moving forward with it, and either have an SIP Jubilee or maybe a spinoff? I just think that we’re going to see how it evolves and grows, and get the readers reaction to it. On what has been the biggest challenge from an editorial viewpoint with the redesign (David DiBenedetto): My biggest challenge was that people absolutely loved what we were delivering, and I’d lay awake at night wondering if I really wanted to make any changes. These readers are so passionate; they read every page, some of them know the magazine better than I do. That was a challenge to me, getting over that hump. It was time for a change; it’ll be okay. (Laughs) You have something that works and you don’t want to screw it up. That was certainly something that I thought about a lot. On what has been the biggest challenge from a design viewpoint with the redesign (Marshall McKinney): I have to second what Dave said; I’ve never experienced this before, an audience that is as rabid for the brand as this. We get fierce letters, real emotional and passionate letters, about everything we do and every story we write, down to the Facebook page. We get unbelievable comments if we just post something small; the smallest thing, maybe about BBQ sauces. On whether they’re now on top of the mountain or there are more cliffs to scale (David DiBenedetto): I’ll first say, I will never think of it as being on top of the mountain, you just keep raising the bar and keep striving to be better. And there’s always room to be better, in terms of print, your website; in terms of the way you use social media. We just have to continue to evolve and be smart. We’ve had great success, but none of us sit back and enjoy it, because we know as soon as you do that, there goes your success. In this environment, you have to work harder than ever to keep your readers. On whether they’re now on top of the mountain or there are more cliffs to scale (Marshall McKinney): I worry a lot about newsstands and what’s happening in the bog box sector, they’re shrinking and getting smaller as a result. There’s not as much real estate inside the big box for the large newsstands. I worry a little bit about that. Here in Charleston I can only think of two places where you can even find magazines outside grocery stores. Those logistical things worry me a little bit. On whether they’re having to work with less these days, as far as staff (David DiBenedetto): We haven’t faced the cuts that other companies have; we’ve been very lucky financially, that we haven’t had to do that. But we haven’t really grown that much either. Every year there are more things that we need to accomplish, like we talked about, social media, digital, books; we’re asking to up video; books are getting asked to do a lot more than they were eight years ago. So, the landscape is just different, and we’re all doing more. On what someone would find him doing if they showed up unexpectedly one evening at his home (David DiBenedetto): For me that’s going to depend on the season, because in the winter it’s dark when I get home, so whenever I have the chance I go outside, whether I’m taking the dog to the dog park or taking the boat out for a quick fishing mission, or taking advantage of Charleston. But when winter hits I’m often having a glass of wine and lately I’ve been addicted to Godless on Netflix. I have to say that when I get home at night, personally, I don’t often pick up another magazine only because I spend my entire day thinking about them. And I know if I pick up a magazine at home, I’m going to start thinking about work immediately and I’m trying to do a better job of not doing that all of the time. On what someone would find him doing if they showed up unexpectedly one evening at his home (Marshall McKinney): I’m ashamed to say this, but after you get home and you walk the dog, you take the trash out, just whatever, things start to settle down; I hate to say this, but I have a Netflix program going. I’m checking out Facebook, Instagram, The New York Times. I’m looking at a few blogs that I like to peruse, and I’m doing it all at the same time. And then I pick up a magazine, I have it in my lap; I’m flipping through the magazine, and then I go to bed and I read an article or two from The New Yorker or catch up on WSJ or The New York Times Magazine. That’s kind of how I put myself to bed. On what he would have tattooed upon his brain that would be there forever and no one could ever forget about him (David DiBenedetto): From a professional point of view, I would love for someone to say he always thought about the reader first. On what he would have tattooed upon his brain that would be there forever and no one could ever forget about him (Marshall McKinney): I would just want it to read that he cared about quality, and he cared. Maybe a little bit too much, but I always want to be associated with quality. A craftsman who cared about quality. On what keeps them up at night (Marshall McKinney): What I worry about and what keeps me up is that we’ve created something that so many people cherish and adore, and I don’t want them to turn on us. I want to continue to meet and exceed their expectation level. And to suddenly find myself in a position where we can’t do that, that bothers me. We have a pretty smooth ride right now; we’ve crafted a very smooth ride, and when I feel drag on it I get really concerned. I don’t like that feeling of anything dragging it or holding it back. On what keeps them up at night (David DiBenedetto): Every issue keeps me up. It does. Not to sound like a workaholic, but every time in that cycle where we get close to having it all dialed in and figured out, I will wake up at 3:00 a.m. and ask, is the mix perfect; is the cover going to resonate with readers on the newsstand; should I have done something better or should I have switched this article for that. Each one of them is like having a child. And now the lightly edited transcript of the Mr. Magazine™ interview with David DiBenedetto, SVP/editor in chief and Marshall McKinney, design director, Garden & Gun. Samir Husni: As you look toward 2018 and beyond, you’ve been with the magazine now for 10 years and you’ve seen all of these changes taking place, not only at Garden & Gun, but throughout the entire industry. 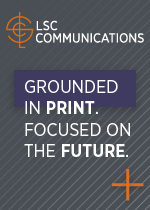 Where do you think the industry is heading in terms of journalism, print, and magazine media in general? David DiBenedetto: Well, that’s certainly the million dollar question, right? (Laughs) I for one don’t think magazines are going to disappear. I do think some magazines will be weeded out. Obviously, these days you can find a lot of information online; you can find recipes; you can find sickness tips; you can find so much, and I think the magazines that will survive are the ones that are doing real original stuff that can’t necessarily be found through a Google search. And I think that’s been a part of Garden & Gun’s success. What we do doesn’t necessarily translate into an easy search. 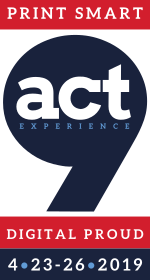 We deliver an experience; we want every issue to be a reading experience and a surprising experience. I like to think of it as almost like an album. Every issue has to have the perfect mix and it works really well when it does; when you’ve got a surprising story up front or an amazing photo and a hard-hitting journalistic piece, and then a light story on a good dog. I just think readers aren’t going away, and even more so than ever they appreciate good work. Samir Husni: And if I look at your numbers, your subscriptions have increased more than eight percent; your newsstand sales have increased more than eight percent during a time when we’re seeing a lot of decreases. If someone were to ask you the secret recipe you’re using to technically go against the trends, where you’re increasing your circulation rate base to 400,000 starting with the February issue, what would that be? Why do you think Garden & Gun is able to do this, is it because of what you told me, that experience you provide, or there’s more to it? David DiBenedetto: I think that’s part of it. For one, and it’s been the sort of magical thing about this magazine from the beginning, there’s nothing really like it out there. I always have a hard time finding the direct competitor. We always say they found the white space when they thought about what’s missing from the magazine rack. This was something new; there wasn’t anything there yet. And I think that’s really part of the calculus. And then again, it does go back to that experience. I think when you pick up this magazine, you may not know what to expect, but our goal is that when you pick this magazine up, no matter what page you turn to, we want to draw you in. And that means that we’re paying attention to every detail on the page. That means we’re thinking about the head and the deck until we’re blue in the face. That means we’re thinking about the caption. Obviously, we’re thinking about the story itself; is the lead graph going to grab somebody and is it going to pay off what we promised? And then the design and the photos; it’s really a visual experience. And I think the redesign reflects this. We’re not jamming a million things onto a page; it’s not always about more beans in the pot for us. It’s just one great piece of meat. And when you can do that, and other magazines do that, I’m not saying that we’re the only one, but when you’re doing that, when you can grab somebody, you’ve got one shot and it could be any page of this magazine, you’ve got to grab them. And you’ve got to think that way. You always have to think about the reader first. It’s all about grabbing the reader. And that’s how we’ve trained ourselves here and I believe it’s working. Samir Husni: And through the last decade of training yourselves that way, how has your job as editor in chief, as senior vice president, changed? Or has it changed? Has it been a walk in a rose garden for you or you’ve always felt as though there was a “gun” aimed at your head, no pun intended? David DiBenedetto: (Laughs) I think I follow that question. David DiBenedetto: How has it changed in the last 10 years? I started as the number two here and even only eight or nine years ago, social media wasn’t something that we thought about every day. Like every editor, your job responsibilities have increased because you have more ways to reach the reader. Now it’s digital, podcasts, Twitter, Instagram, and these are great. These outlets are amazing because we used to only have one way to reach the reader and that was through our pages. And now we have so many ways, so many touchpoints that when you’re doing it right all of these outlets are tremendous for you. And we’ve seen that growth in our Instagram followers; our Facebook followers, and they help our brand tremendously. So, my job has changed in the way that it used to be a lot about words and photos on the page, and now it’s a lot more than that. Samir Husni: But do you think this is sort of like a double-edged sword? On the one hand, it’s great for those who use it well, but it’s not so great for others? When I spoke with the editorial director at Hearst, she said content today can be great, but there’s also a lot of junk out there. David DiBenedetto: Right; absolutely. That’s the challenge, fighting through the clutter, so that your work can be seen. That’s the biggest challenge with these social media outlets, but I do think and I do believe that good content rises to the top and will rise to the top even more. I think folks are getting tired of shallow pieces, shallow journalism; lists of funny cat photos. We’re going to reach a point where it tips a little bit back toward appreciating good stories, good storytelling, and good journalism. People appreciate good work. Samir Husni: What is your definition of content today? David DiBenedetto: It’s everything. Content is anything that we touch. And it can be in a digital form; it can be video or audio; it’s good storytelling; obviously, it’s prose in the magazine. And in my mind too, photography and design and illustration is content and that helps drive the narrative art too. It’s all content Everything that we touch; everything that comes out of the Garden & Gun voice is content. Samir Husni: And is there a litmus test; is there some way that readers should and can differentiate between good content and crappy content? David DiBenedetto: I don’t know that there’s an answer to that. Hopefully, it’s pretty transparent real quickly when they look at it. Like I said, it’s about paying attention to that detail that we do in a way that a lot of these other outlets don’t. 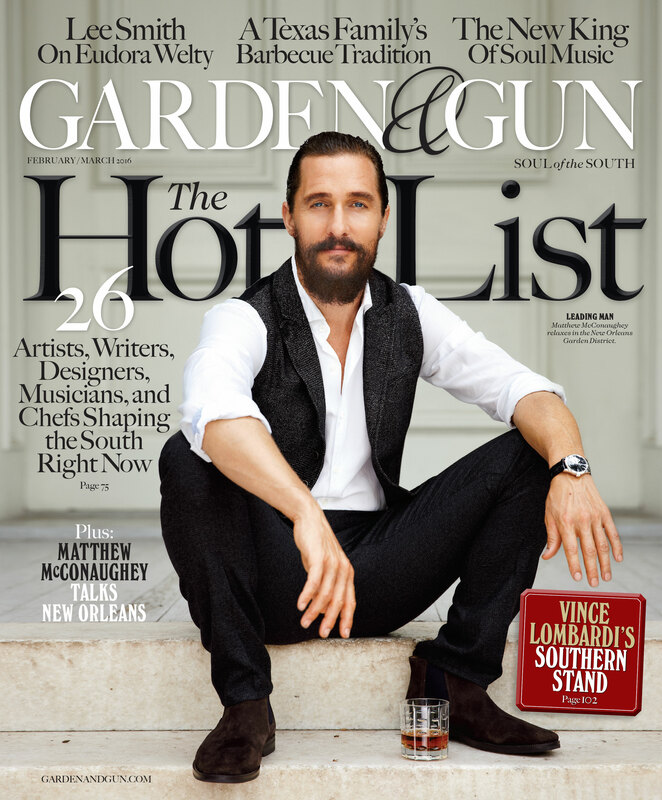 Marshall McKinney: I think there’s a litmus test for what makes the grade as Garden & Gun’s content. There’s a matrix that we run everything through and if it hits a certain standard then we key in on it. Also, like Dave was saying earlier, there’s a lot of crap out there and I think when people read content that rings with truth, that has this sort of voice that rings with truth, they recognize it as something reaching a higher standard. If it feels like there was some effort involved and some degree of discipline brought to bear on the content, I think people recognize it as something valuable. Samir Husni: As I look at the December/January issue of G&G, and the efforts that have been put forth to, not necessarily reinvent the magazine, but more like to reenergize the magazine. Can you go through that process; how the two of you worked together to do this? David DiBenedetto: Marshall and I both have been here almost 10 years now and we’ve lived with the design of Garden & Gun for those 10 years, and it really hasn’t changed much. There wasn’t any reason to change it for the longest time, because it was really successful, people loved it and we enjoyed it, and readers responded to it. But I think Marshall and I both, as we approached this anniversary year, we said it’s time for a refresh. We both felt the magazine needed a little bit more of a modern feel. Nothing was wrong with it, but you just can’t stay that way forever; you have to keep evolving. We think a magazine should evolve, and it shouldn’t just evolve for evolving’s sake, but it should evolve when the time is right. And we felt that hitting that 10th year stride; now was the time to shake it up a bit. And we always said that we weren’t going to gut this magazine, it was working, but we wanted it to be fresh. And we wanted to do it in a way that kept the DNA of the magazine, but still gave it, like I said, a more modern feel. Marshall McKinney: A decade is a long run and we have a lot of paint on the walls after a decade. We’ve introduced a few fonts, so aesthetically it was just nice to kind of strip it down to the studs, and thinking about what came before can be very disciplined, but also the South is professionally reinventing itself. There are new trends and artists, things happening in literature, and things are happening all over the South that are progressive and that are pushing the envelope. We just totally redid our website and energized it, and I think we did an incredible job with it. It was just time to strip everything down to the studs and start anew with the spirit of reinvention and lay down a groundwork that we can build on for another decade. And that will cross multiple platforms and is very synergistic in a clean way. Samir Husni: Dave was talking earlier about how he cannot find a competitor for Garden & Gun, that you’re covering that white space and covering it well. Does that make your job as design director easier or harder, having no competition? Marshall McKinney: I can’t necessarily speak for the brand when I say this, but I think of my competition as Vanity Fair, New York Magazine, Dwell, GQ; I think of those brands as competition. I want to be taken seriously. 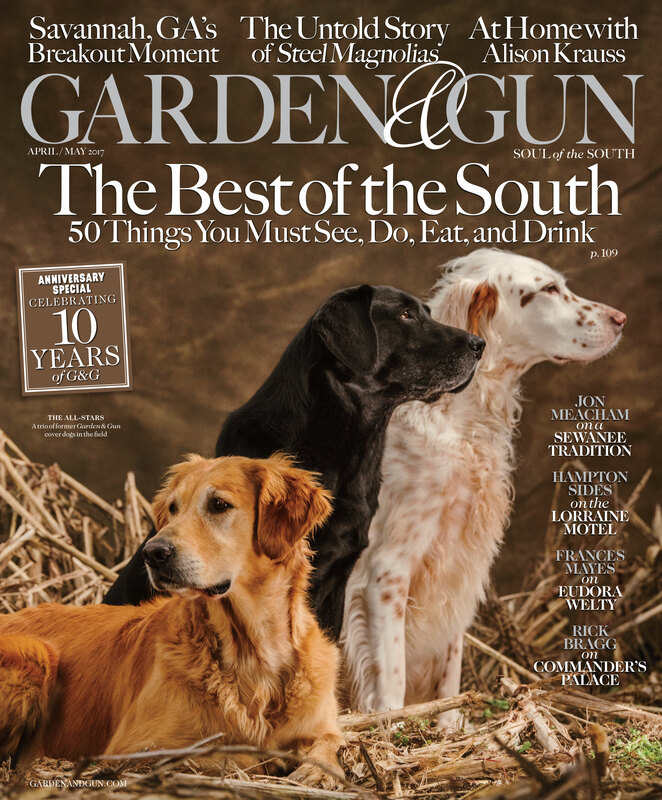 I want to be competitive with them, and what I love about those brands and why I have so much respect for them is that they always reach a certain level of originality; they ring with originality and that’s what I want Garden & Gun to do. I feel like everyone on the newsstands is my competition, but I’m not sure that we have a competitor right next to us, but I do see everyone as my competitor and I want to perform at a high level that I hope reaches the standards set by those magazines I mentioned. David DiBenedetto: It’s true; what Marshall is saying is that we strive to be the best in the business. We don’t think of ourselves as a Southern magazine; we are a national magazine. And while I don’t think we have a direct competitor, in terms of how we view our work, in our own minds we put it up against the best out there and hope that it holds right there with them. Samir Husni: Let’s talk about one new section that you’ve added to the magazine. You’ve always had food in the magazine, but now you’ve created the section that you call “Jubilee.” Food is the number one magazine category in the country now. We have more food magazines than ever before. And to quote from the magazine, how are you “Celebrating Southern food and drink” differently than other publications, in terms of content and design? David DiBenedetto: I will say this, one thing that we do to celebrate Southern food is we’re not trying to write about food that’s necessarily highly nutritious and “good for you,” like healthy food. We’re writing about food that is just tasty, that makes you drool and is steeped in heritage and tradition. And maybe it’s being reinvented and maybe it is more healthful than when your grandmother made it, but we’re just trying to make food that’s super-tasty and that can become new classics in your life. And maybe they’re some classics that you grew up with, but have evolved and changed. What I thought about when we introduced that section, and obviously that’s the biggest change in this redesign; when I first got here, along with Sid Evans and Marshall, we knew food was going to be important, but back then, almost 10 years ago, we had no idea how important food would be to this audience. We just didn’t know. And the more we did it, the more folks loved it. We have an unbelievable photography director in Maggie Kennedy, and I think our food photography is as good as anybody’s out there, by far. It’s just stunning. And I thought, okay, we know the readers love this and we had food kind of scattered throughout the magazine. It was making sense, but I thought let’s just bring it all together and give them what they want. Again, this is about delivering to the reader. Samir Husni: (Laughs too). Is that a hint of something to come? That we may soon see an SIP or a bookazine called “Jubilee” from Garden & Gun with all that food content? David DiBenedetto: Absolutely. I think that anytime you’re creating a magazine and you’re seeing a trend and you’re understanding what your readers are, no pun intended, “salivating” for; if it’s a success then you think about how you can take that farther along. There aren’t memos here about a new food magazine, but it’s certainly been in my head. If “Jubilee” is a raging success, then why not keep moving forward with it, and either have an SIP Jubilee or maybe a spinoff? I just think that we’re going to see how it evolves and grows, and get the readers reaction to it. Samir Husni: As you began the refreshing of Garden & Gun, what has been the biggest challenge from an editorial point of view and from a design point of view? David DiBenedetto: My biggest challenge was that people absolutely loved what we were delivering, and I’d lay awake at night wondering if I really wanted to make any changes. These readers are so passionate; they read every page, some of them know the magazine better than I do. That was a challenge to me, getting over that hump. It was time for a change; it’ll be okay. (Laughs) You have something that works and you don’t want to screw it up. That was certainly something that I thought about a lot. Marshall McKinney: I have to second what Dave said; I’ve never experienced this before, an audience that is as rabid for the brand as this. We get fierce letters, real emotional and passionate letters, about everything we do and every story we write, down to the Facebook page. We get unbelievable comments if we just post something small; the smallest thing, maybe about BBQ sauces. So, it was trying to honor what we’ve done before, take the same aesthetic values, but sort of retool them for what’s to come. When you launch a magazine, you put your best foot forward, but you have all of these unforeseen situations that sort of arise over time and you have to patch it up as you go. But this was an opportunity to really address some of those things and start afresh, but hopefully honor what came before. The magazine is dense; it’s a thick book. And just by virtue of its thickness, sometimes when you fold it open the ads can kind of come over onto your content, so we wanted to create a larger margin to create more spaciousness around the page for that reason. So there were some mutual agreement reasons to do it, but anytime you affect change it comes with a lot of good and a little bad. But so far, the good has outweighed the bad, but time will tell, we’re still pretty new into this thing. David DiBenedetto: And I’ll add, Marshall and I both believe that a redesign is not one issue. A redesign evolves. You get that first issue back and you look at it and you’re proud and delighted, but you also see some things that you could do better. And you improve those in the next issue. In my mind a redesign isn’t really strong until it’s two, maybe three issues down the road. Again, just making those minor tweaks and evolving. And just thinking about the reader. Marshall McKinney: I keep using this home metaphor maybe because we’ve done so much work to ours lately, but once you’ve taken down the studs, you put the drywall back up; you paint it, and now it’s a matter of getting the furniture the way you like it and everything hung the way you want it. For example, when you take all of that good, and some of our best-looking content, out of the front of the book and you put all of that food content into Jubilee, that leaves you a little thin in the front of the book. You have to figure out, and time and the market will tell you, what it wants and how it wants to evolve that front of the book section. And so we tucked that into the back of our minds as we approach this second issue of the redesign. And I think you’ll see a huge leap in the presentation of the “Talk of the South.” So, I think it takes a minute to hit your stride and we’re getting there. Samir Husni: Are you now on top of the mountain? Or are there more cliffs to scale? What’s next for you two? David DiBenedetto: I’ll first say, I will never think of it as being on top of the mountain, you just keep raising the bar and keep striving to be better. And there’s always room to be better, in terms of print, your website; in terms of the way you use social media. We just have to continue to evolve and be smart. We’ve had great success, but none of us sit back and enjoy it, because we know as soon as you do that, there goes your success. In this environment, you have to work harder than ever to keep your readers. 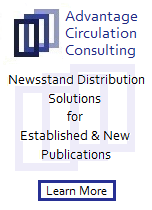 Marshall McKinney: I worry a lot about newsstands and what’s happening in the bog box sector, they’re shrinking and getting smaller as a result. There’s not as much real estate inside the big box for the large newsstands. I worry a little bit about that. Here in Charleston I can only think of two places where you can even find magazines outside grocery stores. Those logistical things worry me a little bit. Staying fresh and artful, creating that see-me-flip-me-buy-me reaction. I love that. Making covers to have subtext and impact that sell, that’s always the day-to-day struggle. But looking forward, I’m really excited about the creative opportunities and breadth of the brand and how we can diversify going forward. I can see us having a channel of Garden & Gun content. I can see us having radio. I’m really excited about future creative endeavors. David DiBenedetto: Video, you know. Storytelling, the word, certainly gets a bad rap these days, but it’s about the different ways that we can unpack these stories. It’s not only print these days; video for us is going to be really strong. I just think our narratives really lend themselves to that. Like I said earlier, the potential is there in just so many different outlets. Samir Husni: So are you doing more these days with less, as far as staff? David DiBenedetto: We haven’t faced the cuts that other companies have; we’ve been very lucky financially, that we haven’t had to do that. But we haven’t really grown that much either. Every year there are more things that we need to accomplish, like we talked about, social media, digital, books; we’re asking to up video; books are getting asked to do a lot more than they were eight years ago. So, the landscape is just different, and we’re all doing more. David DiBenedetto: For me that’s going to depend on the season, because in the winter it’s dark when I get home, so whenever I have the chance I go outside, whether I’m taking the dog to the dog park or taking the boat out for a quick fishing mission, or taking advantage of Charleston. But when winter hits I’m often having a glass of wine and lately I’ve been addicted to Godless on Netflix. I have to say that when I get home at night, personally, I don’t often pick up another magazine only because I spend my entire day thinking about them. And I know if I pick up a magazine at home, I’m going to start thinking about work immediately and I’m trying to do a better job of not doing that all of the time. Marshall McKinney: I’m ashamed to say this, but after you get home and you walk the dog, you take the trash out, just whatever, things start to settle down; I hate to say this, but I have a Netflix program going. I’m checking out Facebook, Instagram, The New York Times. I’m looking at a few blogs that I like to peruse, and I’m doing it all at the same time. And then I pick up a magazine, I have it in my lap; I’m flipping through the magazine, and then I go to bed and I read an article or two from The New Yorker or catch up on WSJ or The New York Times Magazine. That’s kind of how I put myself to bed. 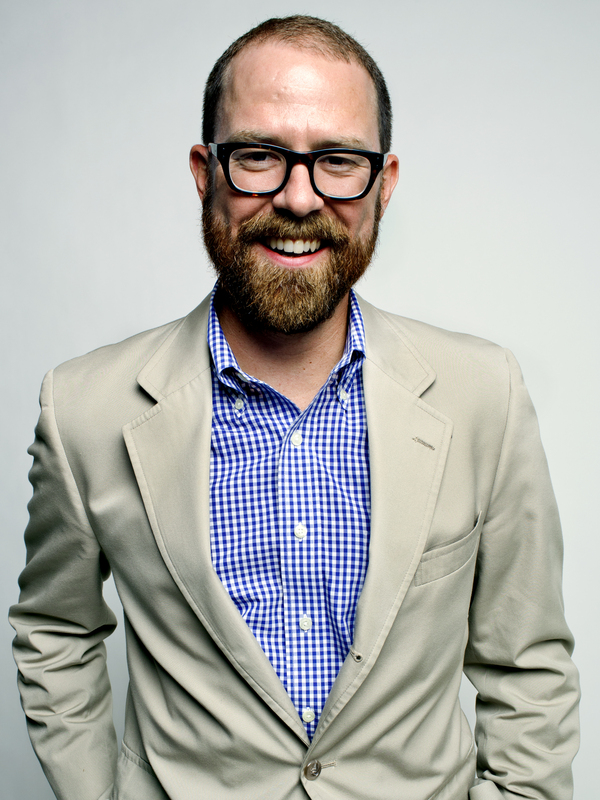 Marshall McKinney: I am totally immersed in media; it’s like a huge wave that’s trying to gobble me up. David DiBenedetto: From a professional point of view, I would love for someone to say he always thought about the reader first. Marshall McKinney: I would just want it to read that he cared about quality, and he cared. Maybe a little bit too much, but I always want to be associated with quality. A craftsman who cared about quality. Marshall McKinney: Lately it’s been the house; it feels like it’s trying to eat me. But what I worry about and what keeps me up is that we’ve created something that so many people cherish and adore, and I don’t want them to turn on us. I want to continue to meet and exceed their expectation level. And to suddenly find myself in a position where we can’t do that, that bothers me. We have a pretty smooth ride right now; we’ve crafted a very smooth ride, and when I feel drag on it I get really concerned. I don’t like that feeling of anything dragging it or holding it back. David DiBenedetto: It’s different; when you’re launching the magazine you’re this precious new thing, and you’re the new kid on the block. It’s a different experience when you’re trying to sustain the momentum; when you’re trying to keep it going. It’s definitely a different challenge. Every issue keeps me up. It does. Not to sound like a workaholic, but every time in that cycle where we get close to having it all dialed in and figured out, I will wake up at 3:00 a.m. and ask, is the mix perfect; is the cover going to resonate with readers on the newsstand; should I have done something better or should I have switched this article for that. Each one of them is like having a child. To me that’s the immediate thing that keeps me up, because as Marshall said there’s an expectation from the readers that they’re going to be blown away by every issue. That they’re going to want to collect it and put it on their coffee table. And that’s a lot of pressure; that’s a wonderful pressure and a wonderful position to be in. But you don’t want to let them down and that certainly keeps me up at night.